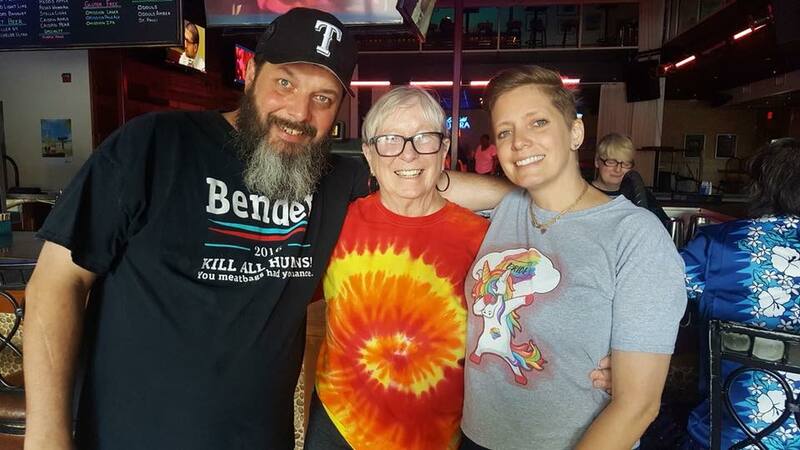 Me with my granddaughter Shanna and grandson David, who is my oldest grandchild, at Sue Ellen’s for my book signing party. After spending a few days with my two sons and their families in West Columbia and Lake Jackson, and having a delightful fish dinner on the beach, I was off again, this time to Dallas, to visit my daughter, Deborah, and other family members. Three generations of women:: My daughter Deborah with her daughter Shanna and me. Having lived on the coast for 15 years during the ’50s, ‘60s and “70s, with parents living in Dallas, I didn’t need a map for the 300-mile journey, which would take me straight through the middle of downtown Houston during the morning rush hour. Even after I had moved away, I ended up still having friends and family on the Gulf Coast and family in Dallas, so it’s a drive I’ve made almost yearly since I left home at the age of 16. In earlier years, the trip was made on Highway 75, which was under constant construction, and which was eventually eaten up by Interstate 45, just as the old Route 66 was eaten up by Interstate 40, which now winds its way between California and North Carolina. In recent years, getting through Houston has always given me a sense of satisfaction that I could still make the drive while remaining cool and calm in the midst of multiple lanes, which oft times were full of idiotic drivers out to get me – as it was this particular morning. Once on the north side of the huge metroplex, I breathed a sigh of relief, and stopped at a Flying J and its Denny’s for breakfast. Although I had promised myself when I first started the trip that I would write in my journal daily, this was the first time I had pulled it out since I had left Tucson. I tried to recapture all the events that had happened while I waited for the eggs Benedict I had ordered. The breakfast was excellent, but soon I was back on the road heading to Dallas. I was going to stay at my daughter’s, but my son Michael made an unexpected trip to visit his sister, and so I ended up staying at my granddaughter’s so everyone could have a comfortable bed. It all worked out well, and I was delighted to get to spend a bit of time with my youngest son as well as my oldest daughter, her husband Neal, and their two children, my granddaughter, Shanna, and my grandson, David. We played board games and laughed a lot. 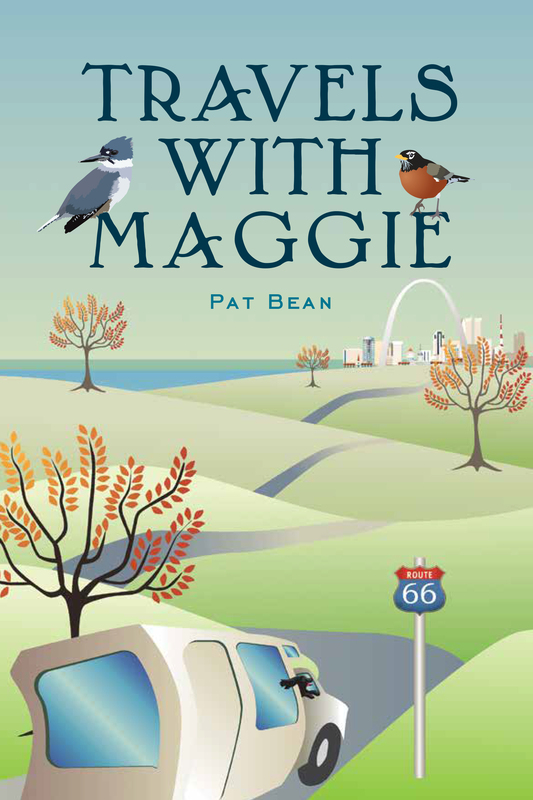 Shanna and her wife, Dawn, and I played numerous games of Frustration in the evenings, and the two held a book signing party for me at Sue Ellen’s, where I sold a few copies of Travels with Maggie to their friends. The day before I left, I finally found a few minutes again to catch up on my journal. Sadly, when I couldn’t find it, I realized I had left it at the Denny’s in Houston, 250 miles in the opposite direction from where I was next headed. It was a sad loss, and a logistics problem that I have not yet been able to solve. Sometimes, even in the best of times, sh-ee-it happens! Bean Pat: Theodore Roosevelt National Park https://naturehasnoboss.com/2018/08/13/room-to-roam-2/?wref=pil Enjoy the views. I have family in Houston (Woodlands area) so I know all about Houston traffic. It can be a wild ride, But then I drive in Chicago on a daily basis, there is just more room to play on the Houston highways. Sounds like a great trip.